September brings an exciting new range to the HiPP Organic collection here in the UK. Being part of the #WeanTeam we have had an exclusive early look and get to share it with you too. HiPP Organic are launching an exciting baby care range which is 100% 'Free-From' nasties with an ultra-sensitive, no tears formulation. The range includes Goodnight Baby Bath, Head to Toe Baby Wash, Shampoo and a Foaming Hand Wash (and refills). The skincare range has been specifically developed so it is free from anything in which sensitive skin doesn't like and to minimize the risk of allergies.Which is perfect for my two, as Jacks eczema was always irritated within the bath so we've always been careful at Isla's bath time. Each item within the range has the 'no tears' stamp. 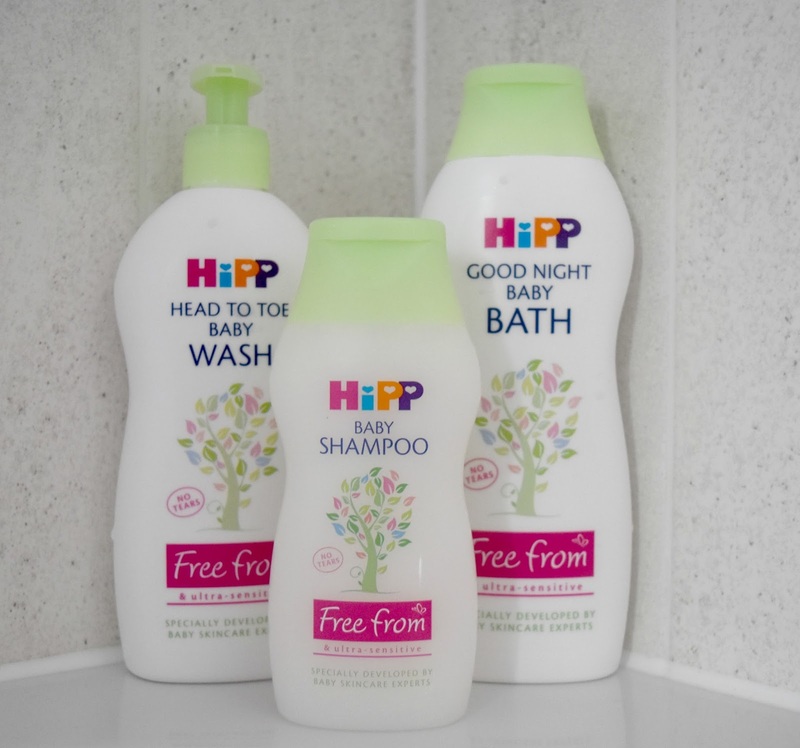 HiPP are always going the extra mile to ensure every ingredient and product they produce is the best it can possibly be for both their customers and the environment and that includes the bath time range. 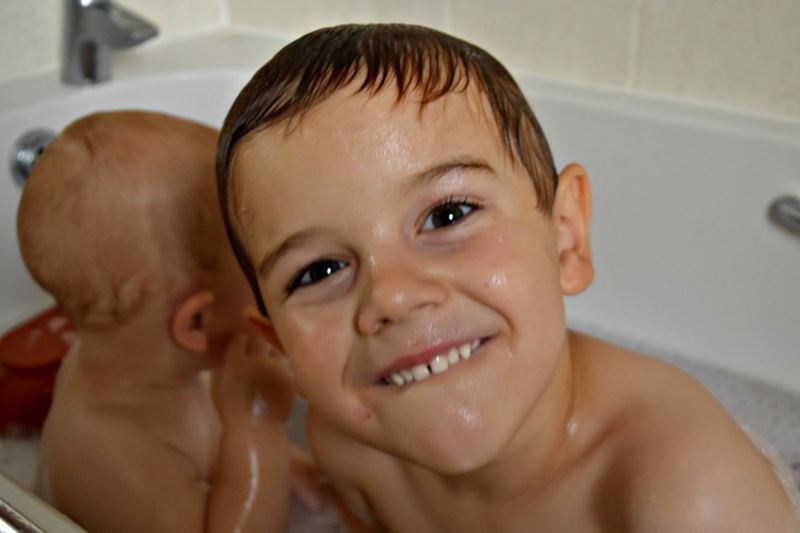 Both children love bath times, but with their sensitive skin I'm always careful in what we use. With this new range I can be sure they are safe from the nasties which hurt their skin. 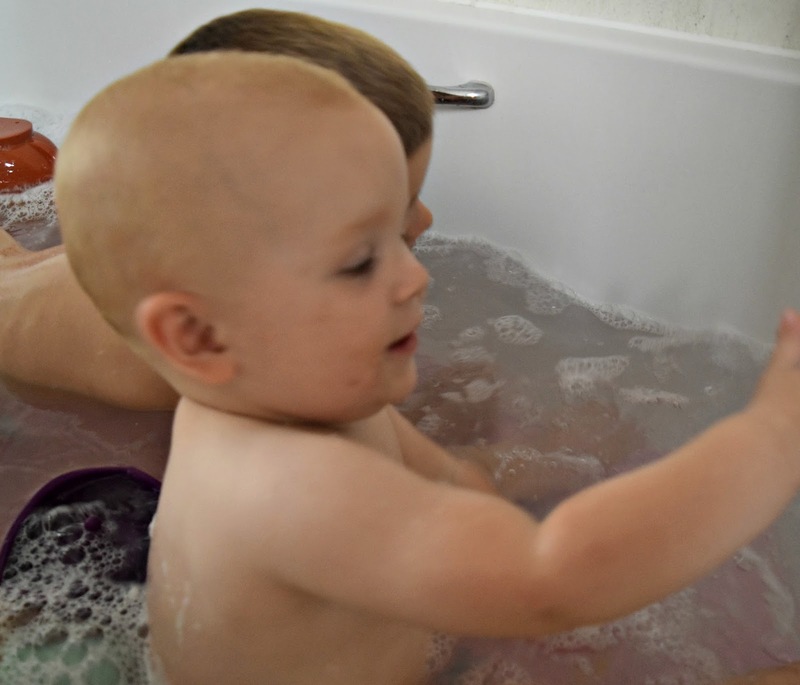 The Goodnight Baby Bath made lots of bubbles, which always give extra fun at bath time. As for the hand wash, don't tell anyone but I've been using it too its lovely and gentle and smells lovely too. The children love the little duck face which dispenses the soap. I love that for the hand wash allows you to buy refills for the duck dispenser, being kind on the environment. From the 6th September, the new range will exclusively be available within selected Tesco stores. You can find out more about the new Baby Care range upon the HiPP Organic website. Each of these products have been a big hit with us, and I know we will continue to use them as time goes on. To celebrate the launch we have a giveaway enabling you to win a hamper with a selection of the products inside. To enter simply complete the entry form below. Competition Terms: Open to UK residents, giveaway ends 18/09/2016, winner will be selected at random from all correctly completed entries and contacted via email. The Winner should claim their prize within 5 days or it may be redrawn. Prize supplied directly from HiPP Organic.